Hello! 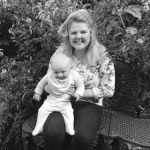 I'm Jessica, mummy to a beautiful baby boy and founder of the Beautiful Birthing Company. Our sole mission is to empower women to create their very own beautiful birth experience using the powerful method of KGHypnobirthing. I was particularly anxious about birth as a first time mum as I had a great fear of the unknown. After hearing about KGHypnobirthing and completing a course, I felt empowered and most of all, prepared. So when the time came, I trusted my body, trusted my instincts and used all the techniques and knowledge learnt from KGHypnobirthing. My baby boy was born into water at my local birth centre calmly and wonderfully. After having such an amazing experience birthing my son, I decided to leave my career in marketing and train with KGH to become a qualified hypnobirthing teacher. I am making it my life's work to help women have positive birth experiences and beautiful birthing memories. KGHypnobirthing is a full antenatal education course that not only gives mothers and birth partners a toolkit of techniques to help during labour and birth, but gives them the understanding of the physiology of the process, and information about the choices that are theirs to make. We run both group and private courses. Please visit our website www.beautifulbirthingcompany.co.uk for more information.